A couple of months ago Kathrin from Germany invited me to put one of my journal page scans on her new Flickr orangepaper and fruit sticker group. I've always liked fruit stickers and use them in my journal often. I fell in love with the fruit papers she had on flickr and we swapped postcards. She also sent me some of the fruit papers. They are great to work with. I love how they feel after they are glued down. 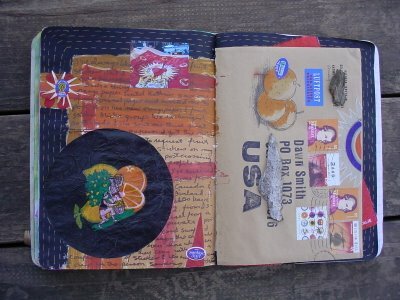 I've already blogged about the cool postcard that she sent, but I had to put the awesome envelope and some of the fruit papers in my journal. I enjoyed using her photos, here and here to print out and put on my pages. OH HOW WONDERFUL, Dawn!! I've so missed your amazing journals!! I came over from Visual Chronicles and felt immediately that I know you! Your initial ?s re:altered books, your "remembrance" spread in the altered dictionary set (the Cornsilk box lid! ), the Mondrian spread is so cooool! 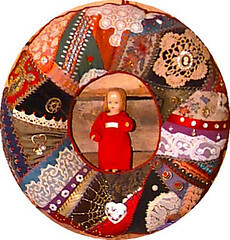 I can't believe the synchronicity and have learned lately to acknowledge that and follow it - so I am getting in touch. :) Hi! Thanks Lin. It's so nice to hear that. Suzanne, do you have a blog or website? I'd like to see it if you do. 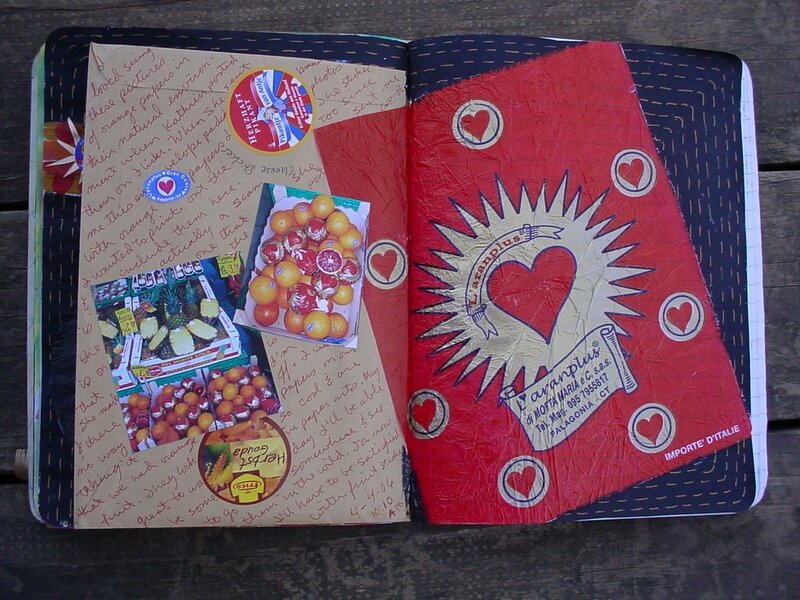 That Remembrance spread was one of my first altered book spreads. I've gotten away from altered books and am working more on journals and postcards, but I do love the look of an altered book. I need to work some more on my dictionary.